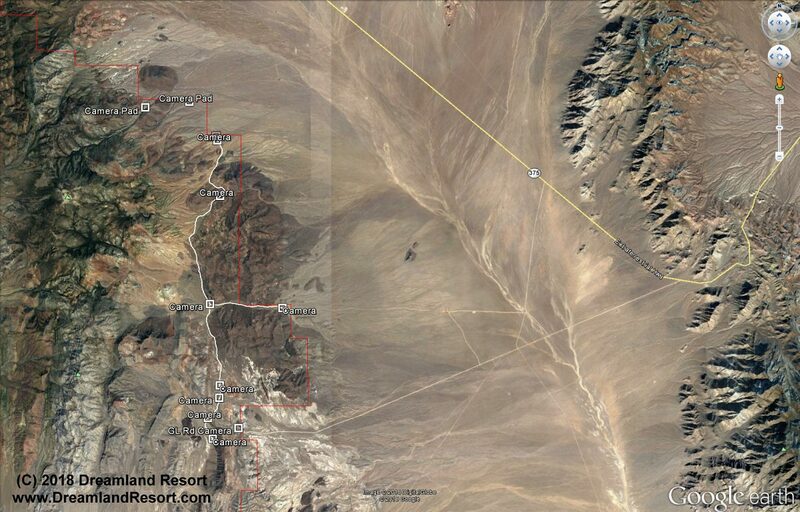 Think you can sneak into Area 51 at night? Well, think again! 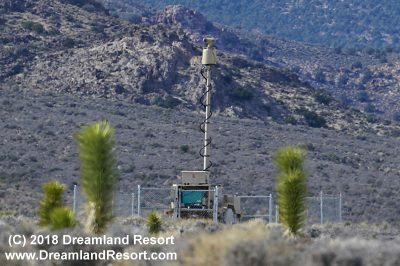 A network of remote controlled security cameras was installed along the Area 51 perimeter between 2012 and 2015. By the end of 2015 the system was operational. 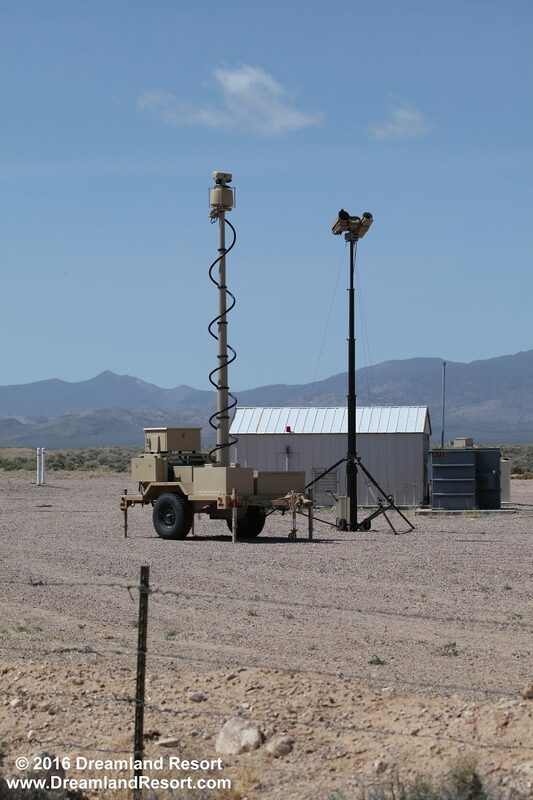 It is made up of about a dozen so-called FLIR cameras mounted on mobile camera towers. FLIR stands for Forward Looking InfraRed. 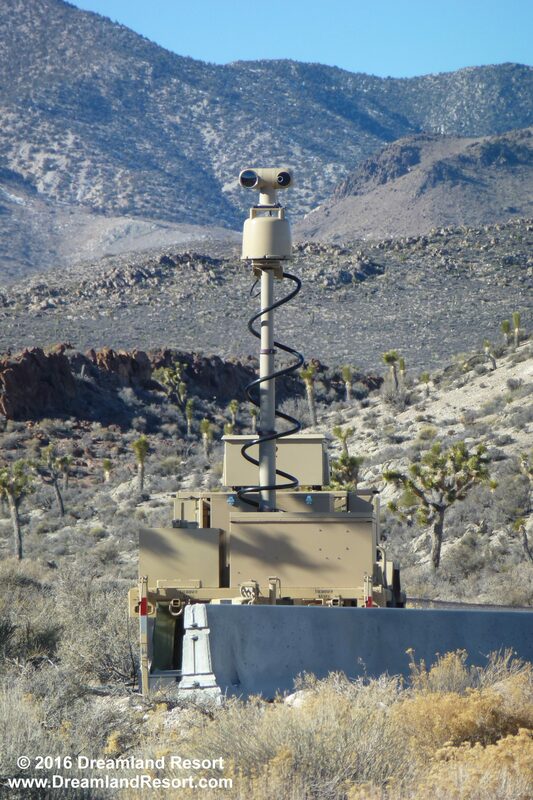 These cameras are designed to see intruders even at night. 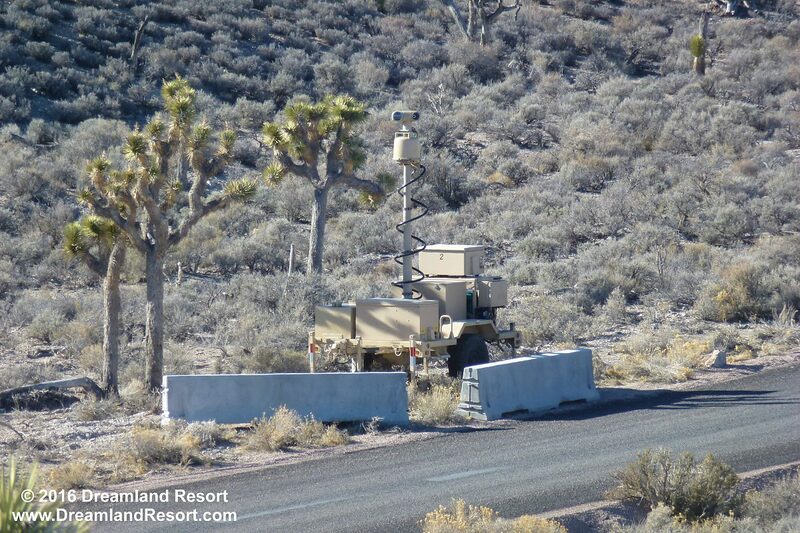 There is one camera each at the Groom Lake Road Gate and at the Back Gate. A network of at least 9 more cameras on concrete pads was installed in a valley east of the Groom Mountain Range and Bald Mountain. 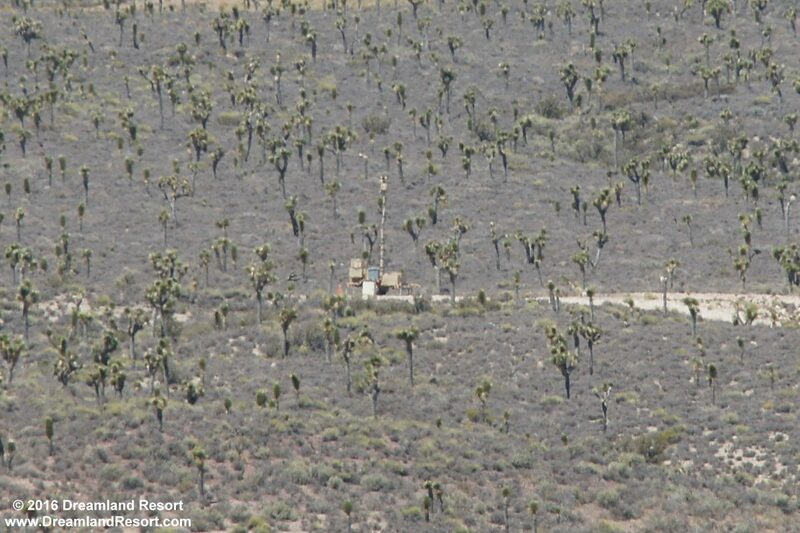 This part of the Area 51 boundary faces Hwy 375 and is most likely to be visited by curious tourists. Trenching for the camera cables all the way from the GL Rd Guard Shack to the "Bald Mountain Gates" can be seen in a May 2012 satellite image. A January 2013 satellite image shows the pads complete and camera towers on at least some of the pads. There are two more camera pads further north, at what is known as the "Bald Mountain Gates". They were installed around 2012 or 2013. However, there is no trenching for wires leading to these pads, and as of 9/2016 there are no cameras on the pads, just an electrical panel. 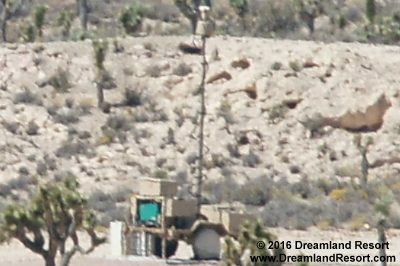 This camera at the Groom Lake gate showed up in late 2015. 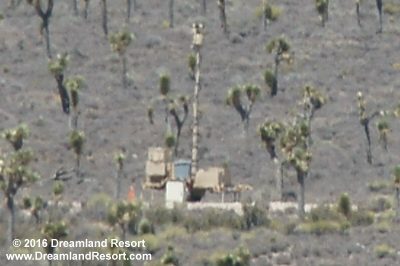 Another photo of the Groom Lake Road camera, showing the mobile set-up. 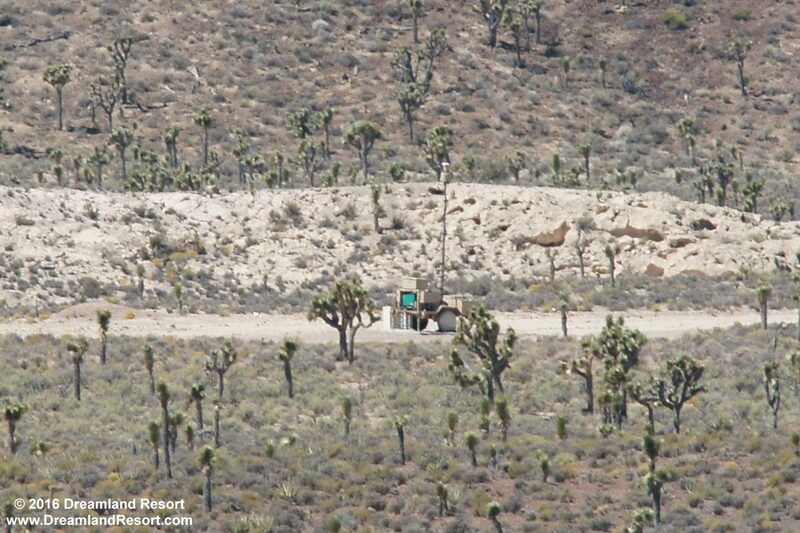 Notice how the camera "followed" me up the hill, so we can assume that the new FLIR camera system is active. Both photos were taken on 12/31/2015. New FLIR camera at the Back Gate on 04/05/2013. 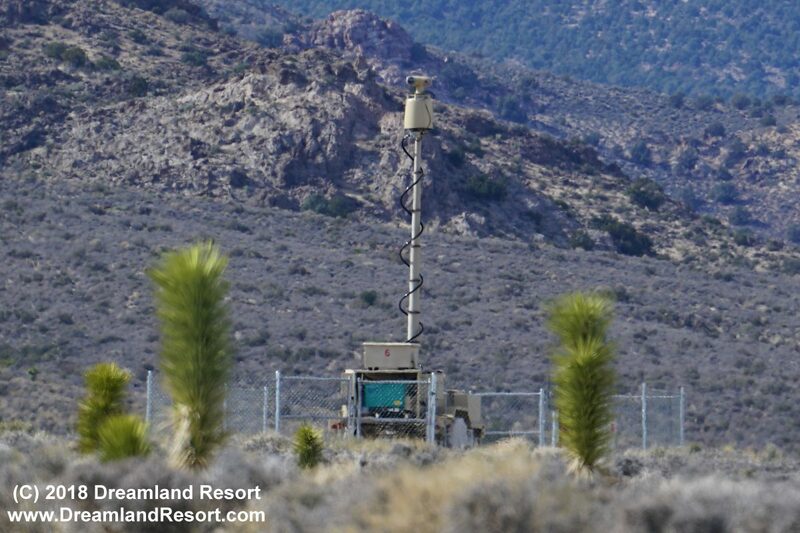 The system on the tripod may be a different type of FLIR camera that was being evaluated at the time. This satellite map shows the trench for the camera wiring and the locations of the cameras in the Groom Range that were installed between 2012 and 2015. 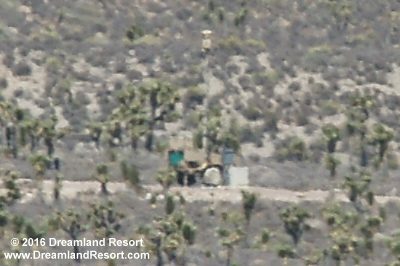 The three Groom Range cameras closest to the GL Rd Guard Shack, from south to north, in early September 2016. Photos by "wheresjanet" with friendly permission. This camera north of White Sides was installed some time around 2017. 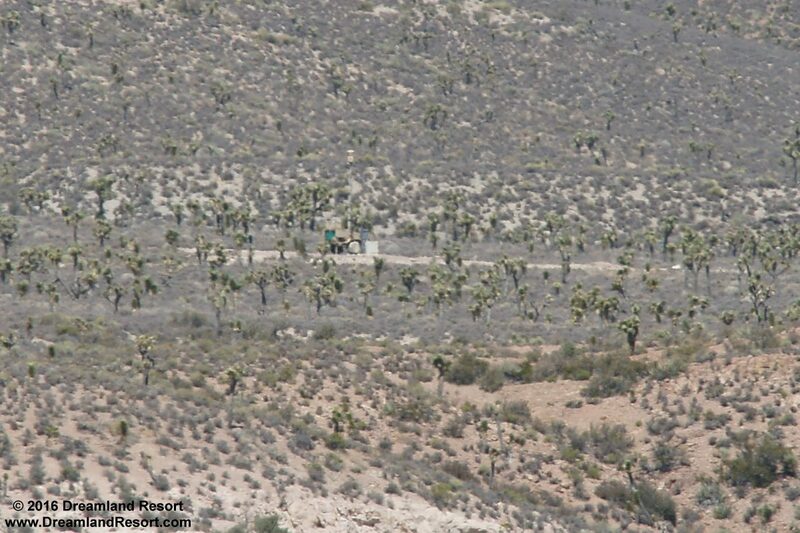 Photo taken in January 2018 by "wheresjanet", with friendly permission.